Since the introduction of SCADA (Supervisory Control and Data Acquisition System) in 1960s, the number of alarms per operator has increased drastically. Operators today have to deal with thousands of alarms on a daily basis. In targeting the overall effectiveness of your SCADA alarm system, you can improve operator awareness and efficiency, minimize unplanned shutdown, and improve plant performance and reliability. That’s why Schneider Electric has released an updated version of Wonderware®Alarm Adviser software – a web-based tool for discovering nuisance alarms in your process system through interactive visual analysis of alarm history. 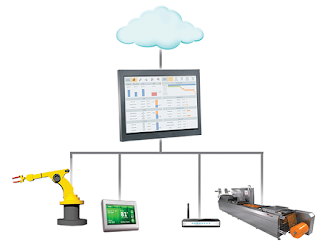 Alarm Adviser connects to and consolidates alarm data from different SCADA systems such as VijeoCitect®, WonderwareInTouch® and WonderwareSystem Platform. Alarm Adviser also runs in Demo Mode, providing full functionality and the ability to collect up to 2000 records from the SQL system. The new localization capability enables alarm analysis in multiple languages including French, Italian, Spanish, Czech, Dutch, and Simplified Chinese. Alarm Adviser works directly on the SCADA and does not require Historian, which makes it cost effective in long run. Dashboards make it possible to benchmark and maintain your alarm performance in line with industry standards. KPI targets can be user defined and used to compare recent and past performance to track improvement over time. In Analysis mode, Total, Frequent, Standing and Fleeting views provide interactive charts and supporting statistical information to aid in the identification of nuisance alarms. The interactive Timeline bar and powerful filters give users the ability to easily zoom in on particular areas within their plant. Additionally, a Consequential View shows the correlation between alarm events. The Confidence in number of occurrences of such events gives the user and idea of the correlation between alarms. The simple electronic licensing model offers three simple license types, offering unlimited client connectivity. Alarm Adviser is compatible with tablets and thus enables plant engineers, operators and managers to view alarm metrics anywhere, anytime. One important feature of this software is that it facilitates compliance with alarm management regulations and best practices (provides out-of-the-box metrics that comply with EEMUA 191), yet allows to tailor metrics to suit local facility goals. Wonderware Alarm Adviser is your organization’s go-to tool to hold the gain on alarm performance. To know more, visit our Website and Live Demo site. Try out the live demo of Alarm Adviser for Vijeo Citect at http://www.citect-demo.schneider-electric.com/AlarmAdviser/ and download the product at http://www.citect.schneider-electric.com/scada/vijeo-citect/downloads-updates/product-downloads.